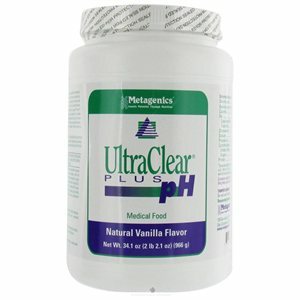 UltraClear® Plus pH is formulated to provide enhanced, specialized nutritional support for patients and includes macro- and micronutrients to address altered energetic function and liver detoxification . Featuring potassium citrate and sesame, this formula helps to promote alkalinization and support Phase II liver detoxification function. 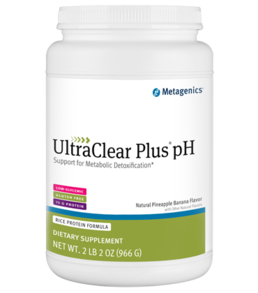 UltraClear Plus pH also provides glycine and magnesium sulfate to support Phase II detoxification activities, as well as green tea catechins and mixed carotenoids to provide antioxidant protection against potentially harmful compounds generated during the natural detoxification process. Provided in a low-allergenic-potential rice protein concentrate base—which may be beneficial during times of increased detoxification burden—this formula provides well-rounded nutritional support. Delivers extra support for Phase I and Phase II activity. 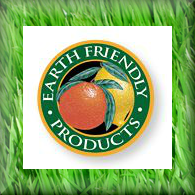 Promotes an alkaline urinary pH status and Phase II detoxification activity. Rice protein concentrate, rice syrup solids, sesame seed flour (sesame), natural flavors, olive oil, medium chain triglycerides, decaffeinated green tea extract, and silica. This product contains sesame. 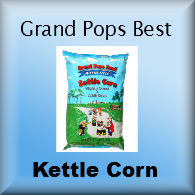 Free of wheat, gluten, yeast, soy protein, egg, dairy products, fish, artificial colors, sweeteners, and flavors. Blend, shake, or briskly stir 2 level scoops (46 grams) of UltraClear Plus pH into 8 fluid ounces of chilled water or juice. 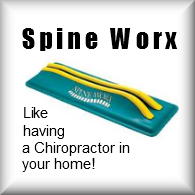 This product is to be used under the direct supervision of a physician or other licensed healthcare practitioner. Do not engage in a diet less than 800 calories per day without medical supervision. Excess Vitamin A intake may be toxic and may increase the risk of birth defects. Pregnant women and women who may become pregnant should not exceed 5,000 IU of pre-formed vitamin A (retinyl acetate or retinyl palmitate) per day. It is also recommended that children under four should not regularly consume more than 2,500 IU per day. * These statement has not been evaluated by the Food and Drug Administration. This product is not intended to diagnose, treat, cure, or prevent any disease.